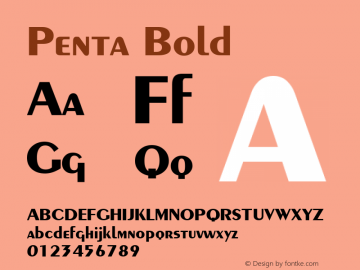 Penta font family series mainly provide Normal,Bold and other font styles. 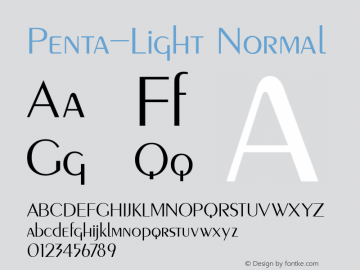 Penta-Light font family series mainly provide Normal,Regular and other font styles. PentaBold font family series mainly provide Normal and other font styles. 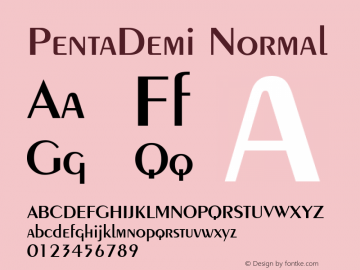 PentaDemi font family series mainly provide Normal and other font styles. 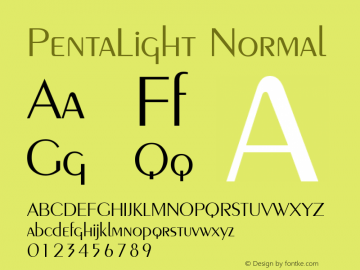 PentaLight font family series mainly provide Normal and other font styles. 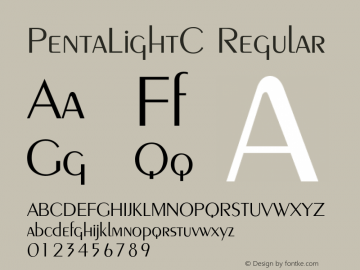 PentaLightC font family series mainly provide Light,Regular and other font styles. PentaDemiC font family series mainly provide Regular,Demi and other font styles. 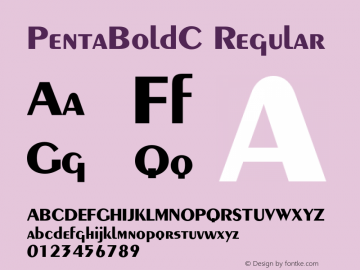 PentaBoldC font family series mainly provide Bold,Regular and other font styles. 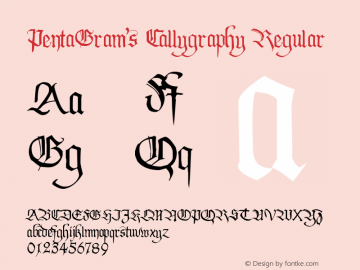 PentaGram’s Callygraphy font family series mainly provide Regular and other font styles. 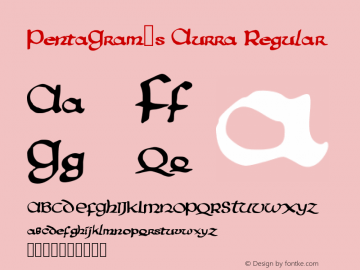 PentaGram’s Aurra font family series mainly provide Regular and other font styles.